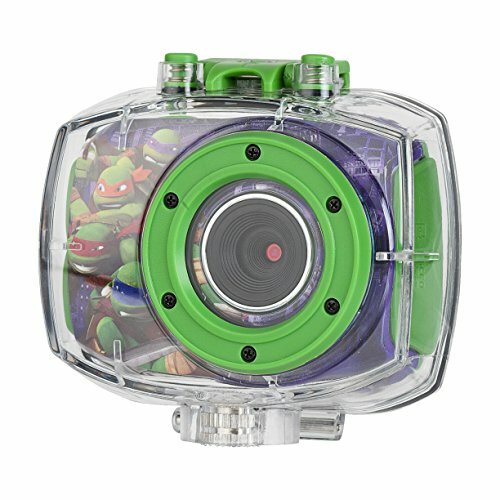 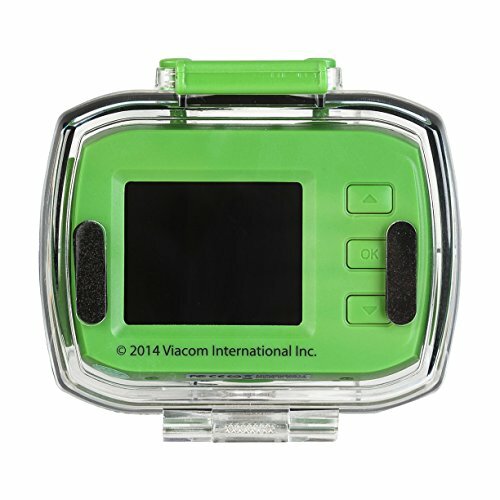 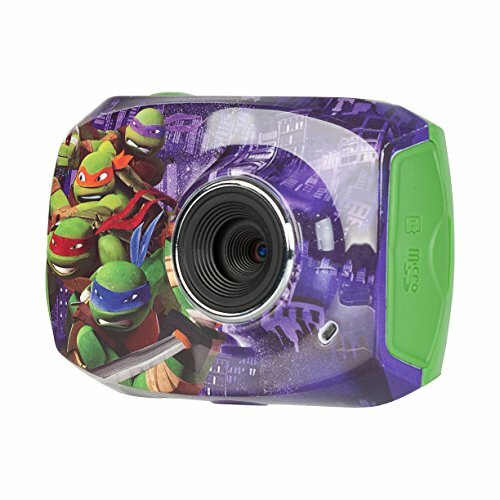 The Teenage Mutant Ninja Turtles Action Camcorder is a compact digital video camera with an underwater housing. 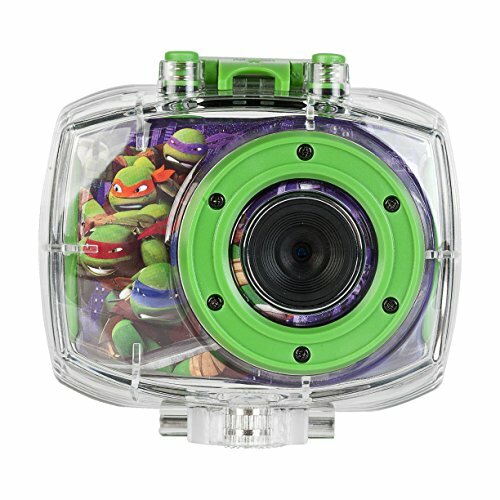 It can capture stunning 5.1 Megapixel still images, along with recording video at 720p. 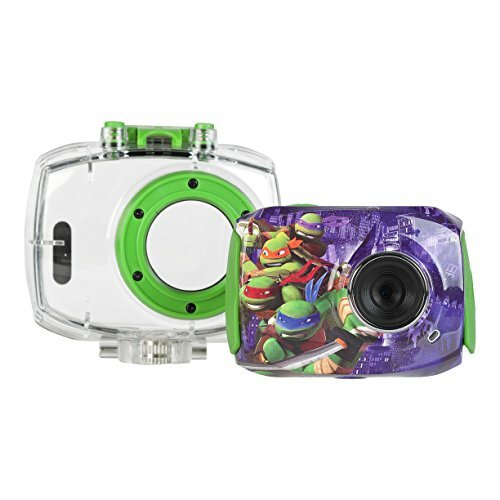 The 2.0″ full touch LCD screen serves as both a viewfinder for framing and a playback monitor. 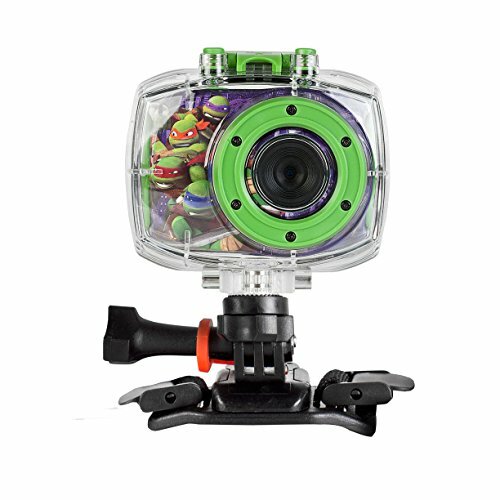 The camera also features a 4x zoom, lithium ion rechargeable battery, and a MicroSD slot for up to 32GB of memory. 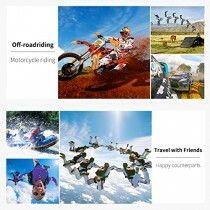 A helmet and bike mount are also included.